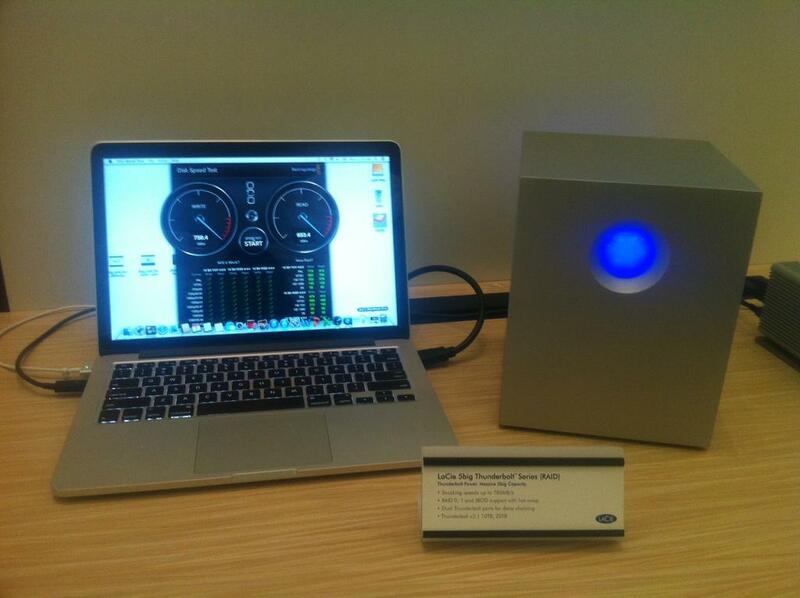 In CES 2013 LaCie reveals an interesting product a 10TB and 20TB external RAID box connected via Thunderbolt.It includes 5 drives with a multiple RAD options.The cost is $2,199 in 20TB configuration, and $1,199 for the 10TB version. LaCie also introduced the 5big NAS Pro, a gigabit ethernet equipped network storage box available in multiple capacities: 0TB (diskless) for $529, 10TB for $1,199, and 20TB for $2,199. “Today LaCie announced the 5big NAS Pro, its latest high-performance 5-bay network-attached storage solution powered by Intel®. Thanks to hybrid cloud technology, the LaCie 5big NAS Pro lets employees collaborate easily using a single interface for both network/cloud storage and remote access. Plus, data stays secure thanks to novice-friendly SimplyRAID and client-side cloud encryption.